Proud Sponsors of the Avondale School Community Christmas Carols! 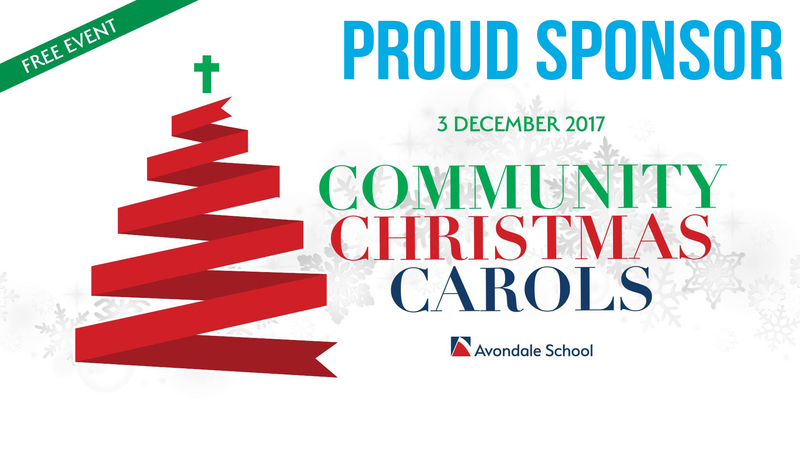 We are super excited to be sponsors of this years Avondale School Community Christmas Carols! The carols are this Sunday, 3rd December and gates open at 4:30pm. There is an amazing line up including Colin Buchanan, ARIA winner and 9 times Golden Guitar Singer/Songwriter, with a diverse career including a beloved ABC Play School presenter! PLUS Harrison Craig will also be joining the party, the winner of the 2013 season of The Voice Australia! There will be food vendors, and we heard there will be a visit from Santa plus some seriously awesome fireworks!!! Avondale School has placed a light up sign on Dora Street, Morisset to advise locals of the fireworks in the area, so if you have animals that are noise sensitive, it may be a good idea to ensure they are secured for the evening. Enjoy the carols everyone, and Merry Christmas! From the Team at Ourimbah Real Estate, Morisset City Real Estate and Cooranbong Central Real Estate.